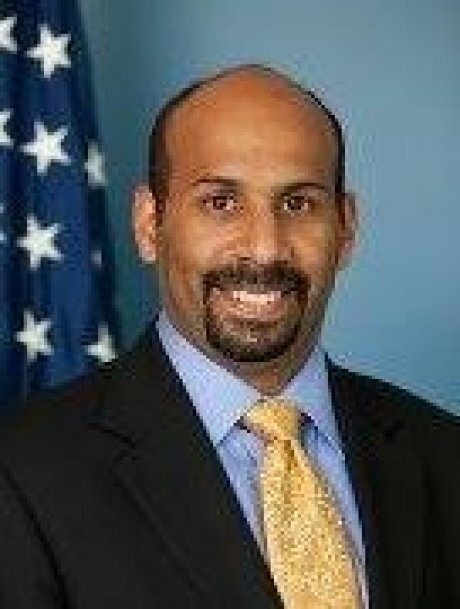 Marco A. Davis received a Bachelor of Arts degree in History and Latin American Studies from Yale University, and is a member of Alpha Phi Alpha Fraternity, Inc.
Former White House Deputy Director of the White House Initiative on Educational Excellence for Hispanics, Davis has joined New Profit, a Boston-based venture philanthropy fund, as a Partner. Previously, he had joined the White House Initiative on Educational Excellence for Hispanics as Deputy Director in January 2012. The Initiative was charged with carrying out President Obama’s efforts to increase opportunities and improve outcomes in education for Hispanics of all ages, working directly with communities and key stakeholders nationwide to identify ways to strengthen and improve the Latino community overall. Based on more than 20 years of work in the public interest, Davis is a frequent speaker on the Latino community, youth, leadership development, and public policy. Prior to the Initiative, Mr. Davis served as the Director of Public Engagement for the Corporation for National and Community Service, where he led the President’s call to service initiative United We Serve, which includes the annual Martin Luther King National Day of Service and the September 11 National Day of Service and Remembrance. Previously, he served as Director of Global Fellowship and also Regional Manager for Latin America at Ashoka’s Youth Venture. From 1994 to 2006, Mr. Davis was a staff member of the National Council of La Raza (NCLR), the nation’s largest Latino civil rights and advocacy organization. At NCLR, as Director of Leadership Development he created the Líderes Initiative and its Líderes Summit at the NCLR Annual Conference. While at NCLR, he also managed Encuentro 2000 – And Beyond, an annual strategic retreat for distinguished national Latina/o opinion leaders. Davis’ professional career began as a leadership development counselor for Prep for Prep, Inc. in New York City, and as a staff member at the Center for Third World Organizing in Oakland, California.